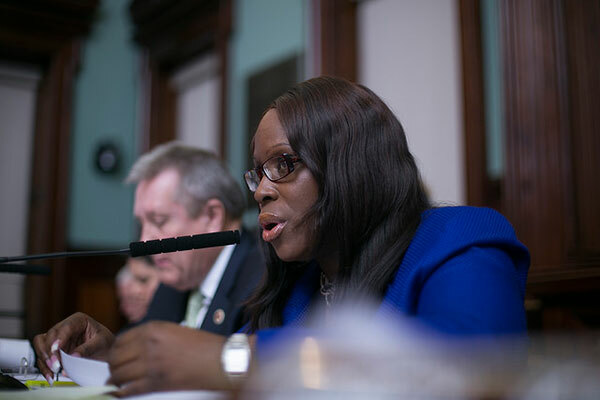 A City Council bill that creates an alternative to the state’s “disorderly conduct” statute, and mandates lower punishment for the infraction, became law on Friday along with numerous other bills relating to protecting undocumented immigrant New Yorkers. 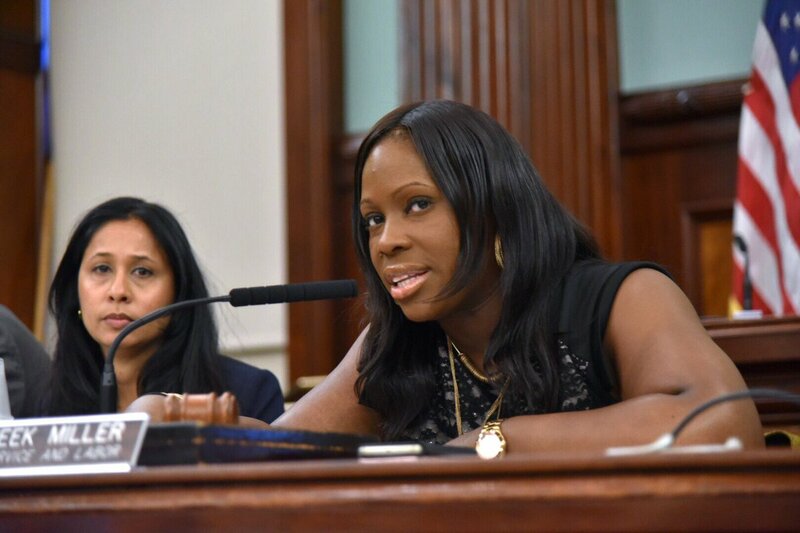 The bill, sponsored by City Council Member Vanessa Gibson, chair of the public safety committee, also adds another plank to the Council’s broad agendas of criminal justice reform and immigrant protections. The new city law prohibits “disorderly behavior” much in the same way the existing state law currently does -- for incidents involving public altercations, unreasonable noise, obscene gestures in public, obstruction of traffic and other similar offenses -- but it provides for a maximum sentence of five days in prison or a $200 fine, and also includes a civil (as opposed to criminal) penalty option in the form of a $75 fine. Under the state law, in which punishment can reach up to 15 days in prison or a $250 fine, there were roughly 54,000 convictions in 2016 in New York City criminal courts. The rationale behind the new city law is simple, but controversial: lowering punishment can prevent the involvement of federal Immigration and Customs Enforcement (ICE) agents, which is often triggered when undocumented immigrants interact or are pulled into the criminal justice system. A punishment longer than five days can also make immigrants ineligible for the Deferred Action for Childhood Arrivals (DACA) protections. “It’s an option for district attorneys, for judges and for police to use in instances of disorderly conduct, and obviously for non-violent and low-level cases,” said Council Member Gibson, in a phone interview on Monday, during which she warned of dangers undocumented immigrants face from an openly hostile federal administration. Since before he took office, Donald Trump has been aggressively attacking undocumented immigrants with rhetoric, and, under his presidency federal immigration authorities have followed through with action, stepping up their enforcement efforts. They have taken particular aim at so-called “sanctuary cities” such as New York, which are home to massive populations of undocumented immigrants and relatively friendly local laws. 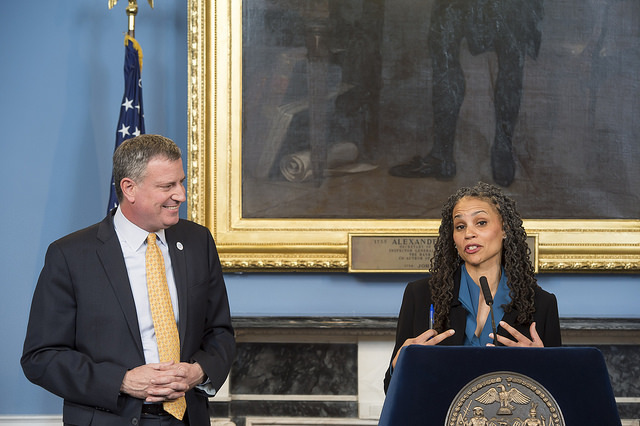 As Gibson noted, the Council has moved to reduce penalties and create civil fines for numerous low-level offenses, most significantly through the Criminal Justice Reform Act passed last year. Those efforts have taken on increased importance under Trump. In the last few months, ICE agents have begun to stake out courthouses to nab immigrants showing up to court appearances, even in cases involving nonviolent crimes. Initial data has shown drastic reductions in criminal court summonses issued under the offenses that were included in the Criminal Justice Reform Act. Between when the act took effect on June 13 and October 1, 2017, there were 4,370 criminal summonses issued under those offenses, compared to 55,224 in the same period in 2016. 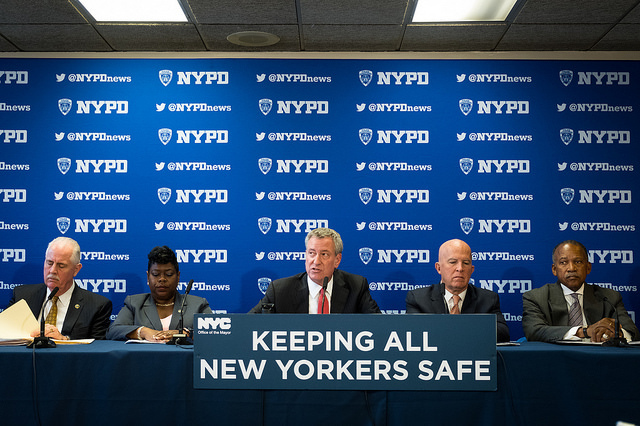 The NYPD issued 26,154 civil summonses for the covered offenses. Murad Awawdeh, vice president of advocacy at the New York Immigration Coalition, said the organization was glad to see the Council take proactive measures to protect immigrants from the “nexus of the criminal justice system and the immigration system,” which can often endanger their status in the country. There are only a handful of City Council seats opening up this year due to term limits. Of the seven “open” races in the 51-seat Council, all of which are up for election this fall, several feature state legislators seeking to make the jump to the city’s legislative body. Current and former state legislators vying for seats in the City Council is nothing new. A number of sitting Council members themselves were state representatives, many of them just prior to joining the Council. 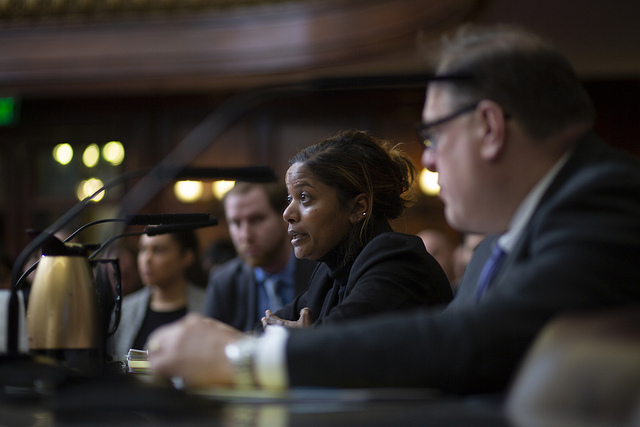 For instance, Council Members Vanessa Gibson, Joe Borelli, Rafael Espinal, Inez Barron, and Alan Maisel have all served in the state Assembly. Council Member Vincent Gentile was formerly a state Senator, as was Bill Perkins, who just recently won a special election in Council District 9 in February. The advantages to being in the Council are plain to see: Council members receive a much higher pay than state legislators and, after receiving recommendations from a special commission, just recently voted to give themselves a pay raise from $112,500 to $148,500. State lawmakers’ salaries are $79,500 annually, plus stipends for chairing issue committees or house leadership posts (a pay commission convened to explore pay hikes ended its work late last year without any recommendations). There is also the obvious ease of commuting to City Hall and offices in the five boroughs rather than constant trips to Albany. And, for some legislators, being in the Council offers a chance to have a greater say over local policy and the ability to more directly address community concerns. This was true for Perkins, who said when he ran in February that, as a Democrat in the minority in the state Senate, he was less able to affect legislation than he could in the overwhelmingly Democratic City Council. 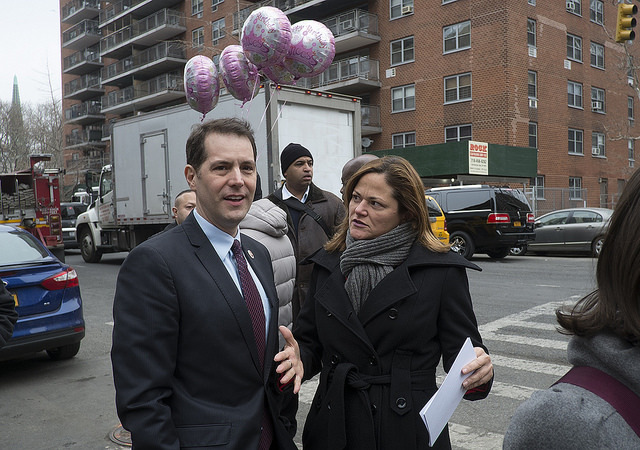 Assemblymember Robert Rodriguez only recently announced that he is running for the Council District 8 seat that will be vacated by Council Speaker Melissa Mark-Viverito at the end of the year. 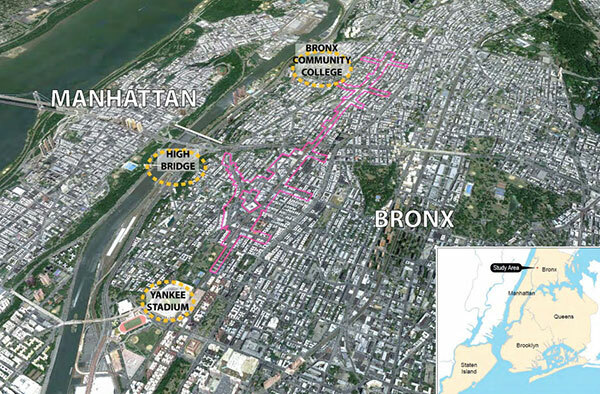 The district covers East Harlem and parts of the South Bronx. Mark-Viverito has endorsed her deputy chief of staff, Diana Ayala, for the seat, and the Bronx Democratic machinery has split its support for the two candidates. Rodriguez received endorsements last week from Bronx Democratic Party Chair Marcos Crespo, Manhattan Democratic Party Chair Keith Wright, former U.S. Rep. Charles Rangel, and Council Member Bill Perkins. 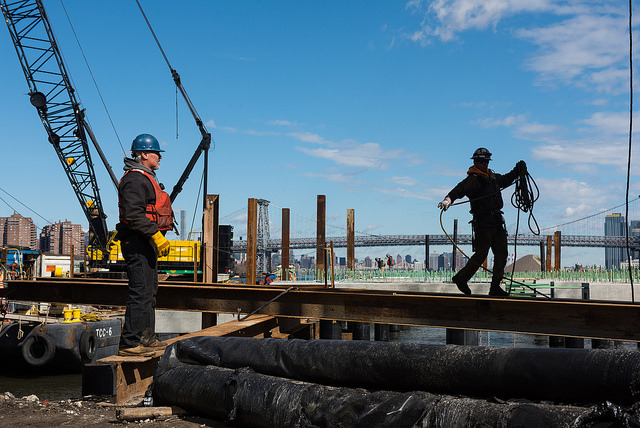 Ayala on the other hand has the support of Bronx Borough President Ruben Diaz Jr.
Rodriguez acknowledged the potential advantages of working in the City Council with like-minded lawmakers, unlike Albany where any single piece of legislation must navigate two chambers. “It’s a smaller body and decisions are made differently,” he said of the unicameral and heavily Democratic Council, “there’s less institutional interplay.” And he’s confident that he’ll bring a “sense of experience and confidence” into the race that will sway voters. As a member of the Assembly for six years, Rodriguez said he’s also seen a lot of turnover and brushes aside any criticism that could be levelled against him for running for the Council just six months after being reelected to the Assembly. “ He also expects that in 2021, when more City Council seats are up for grabs, that many colleagues will make similar moves. For Ayala, facing off against a sitting state legislator presents an uphill battle, but she said she’s not worried. “Our campaign is picking up steam,” she said. “I’m not gonna dispute that [Rodriguez] has name recognition and establishment support. But I have a lot of community support. I’m pretty confident I can stand on my feet.” Ayala is also participating in the Campaign Finance Board’s public matching funds program, which she says will be instrumental to running a competitive race. She has $52,089 in campaign cash, as of May 11, before factoring in any matching funds. John Doyle, a former staffer for State Senator Jeff Klein is one of seven other candidates in the race with Gjonaj. “There’s nothing inherently wrong with someone looking to change their position,” Doyle said of Gjonaj’s campaign, “but I think there’s something disingenuous when somebody’s running for reelection saying they’ll be a voice for two years and after their reelection, they announced for a new position.” Gjonaj was reelected to the Assembly last year. 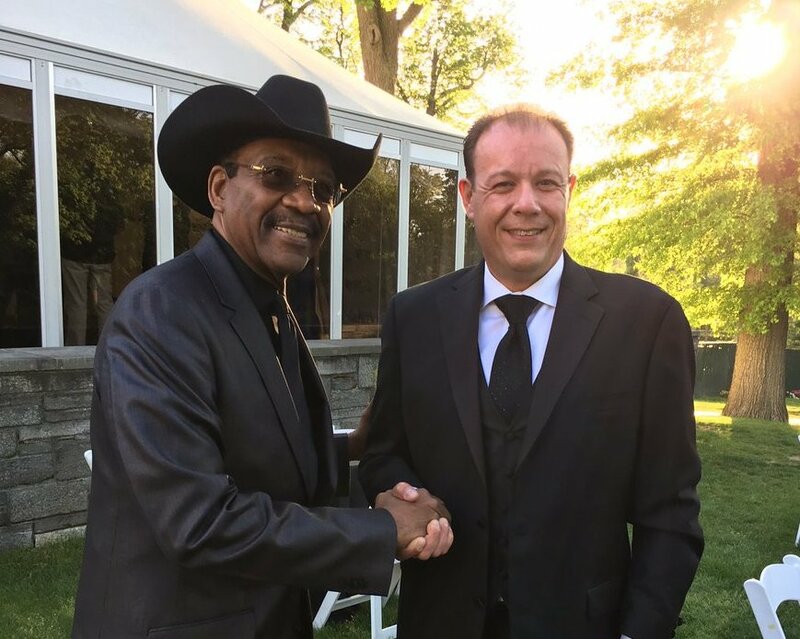 Doyle criticized Gjonaj’s campaign fundraising, much of which comes from outside the city, and also broadly stressed that many of the systemic corruption issues in Albany stemmed from the way lawmakers raise funds. He noted that Gjonaj had voted for campaign finance reform in 2014, but has chosen not to participate in the public matching funds system. In response to Doyle's comments, a spokesperson for Gjonaj said, "Mr. Doyle's platform seems to be 'I'm not the other guy.' As for Assemblyman Gjonaj he is committed, above all, to representing the best interests of his constituency. He is at work passing progressive legislation and meeting voters." Spokesperson Jennifer Blatus went on to say that Gjonaj has widespread support and that "Doyle is desperate for attention. He doesn't have a clue on how to pass legislation or attract capital projects." She also indicated that Gjonaj is not participating in the city's campaign finance program because he "prefers tax payers dollars be used for after school programs for youth, senior programs, and libraries - not political campaigns." 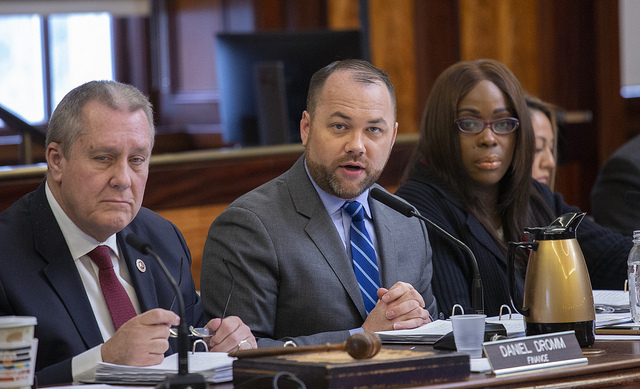 State Senator Ruben Diaz Sr.’s run in Council District 18 may be the most controversial of the state legislators’ this cycle. Diaz Sr., although a Democrat, is conservative on social issues, such as LGBT rights, and running for a seat on a body that is heavily progressive. (There are only three Republicans in the Council, one of whom is pro-choice.) But Diaz Sr. has been able to raise significant funds in a short period, and has $93,901 in his campaign account, surpassing candidates who have been in the race for months. All of the state legislators running start the race with community ties and significant advantage in name recognition, especially among those who vote.